Juventus have confirmed the signing of Welsh international Aaron Ramsey from Arsenal, stating that he will 'officially be a Juventus player from 1 July 2019'. Ramsey will make the move from Arsenal in the summer, having signed a four-year contract with the Italian champions, tying him to the club until 2023. "Juventus Football Club S.p.A. announces that a contract of employment with the player Aaron James Ramsey, effective as of 1st July 2019 and expiring on 30 June 2023, has been signed. As a result of the registration of the player, Juventus will incur additional costs of € 3.7 million, to be paid within 10th July 2019." Ramsey leaves Arsenal after almost 11 years at the club, and it's believed he will earn £400,000 per week in Turin, making him the highest paid British player in the world. 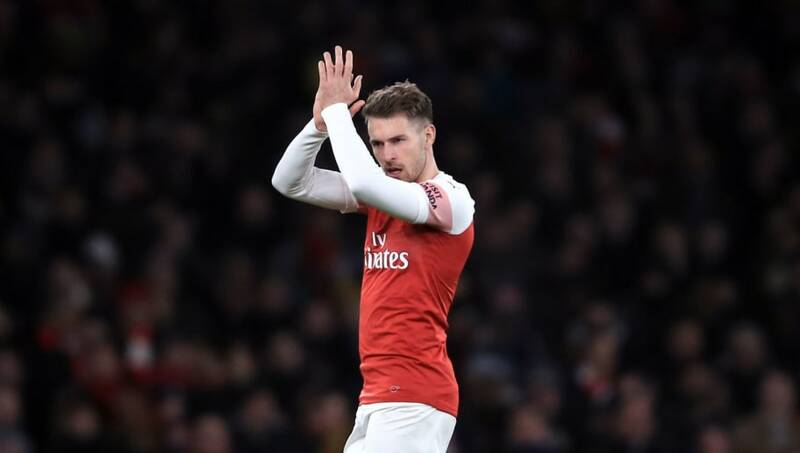 With his current deal expiring in the summer, Ramsey had been free to talk to overseas clubs about a move since January, and Juventus always appeared to be the strongest suitor for his services. "Aaron’s made a fantastic contribution to our club since joining from Cardiff City in 2008. He has always been a consummate professional and will always have a special place in the hearts and memories of Arsenal fans around the world. We look forward to Aaron helping the team to a strong end to this season before he joins Juventus in the summer." ​Arsenal fans won't be too surprised by this news, but it will still come as a blow to see Ramsey leave London to join up with Cristiano Ronaldo and company. Though he has only played in nine Premier League games this season, he's scored 62 goals and added 64 assists in 361 appearances for the Gunners. He'll join a stacked Juventus midfield that boasts the likes of Miralem Pjanić and Douglas Costa, who will likely be looking to earn a ninth Scudetto as they're on course to win their eighth successive Serie A title this season.